Today’s Times (£) reports last night’s reshuffle as having been to prevent a coup (later clarified to say a “backbench coup“). The BBC are trying to give the story legs. There certainly was concern about the possible actions of two right-wing backbenchers to further undermine Ed Miliband’s leadership, and the reshuffle was designed to strengthen the small band of those personally loyal to Ed within the shadow cabinet, but that isn’t the internal threat that Ed really needs to worry about. There are in fact two coups that should worry him and party members. They are both the work of shifting alliances of leading but disloyal members of his shadow cabinet. The second is the one that has not yet taken place, but which Ed failed to prevent when he chickened out of removing Ed Balls as shadow chancellor (and, more importantly, as the sort of shadow leader that Gordon Brown was under Blair’s leadership). The appointment of Ed’s former chief of staff, Lucy Powell, to take charge of the campaign operation has the effect of reducing the excess influence of Douglas Alexander. Powell may be on the Progress wing of the party but she is absolutely loyal to Ed. Michael Dugher installed as shadow transport secretary is reasonably loyal too. Unlike Mary Creagh, demoted to Murphy’s old job of international development secretary, he is not one of the Balls crowd and we can therefore hope he’ll stand up more robustly to Balls on the public ownership of rail. And Jon Trickett moves into Ed’s own office as shadow minister without portfolio and deputy party chair. Trickett, whose recent article in the New Statesman certainly marks him out as the most left-wing member of the shadow cabinet, will certainly improve the advice Ed gets to hear. Take first, the victor (so far at any rate) of the first coup. He says the job he’s “applying for is to be First Minister of Scotland.” Vulnerable to the charge of having previously shown no interest in Holyrood, he told STV’s Scotland Tonight that he will be a candidate for the Scottish Parliament elections in 2016 and added “if I can get into the Scottish parliament earlier than that that would be better” as he would be duty-bound to do under present party rules if elected as leader. This begs the question why he is intending to stand again to be MP for East Renfrewshire in 2015. He surely does not intend to sit in both – Labour’s rules no not normally allow that. His claim to want to get into Holyrood before 2016 seems unlikely to be realised as his own supporters say they won’t stand aside. 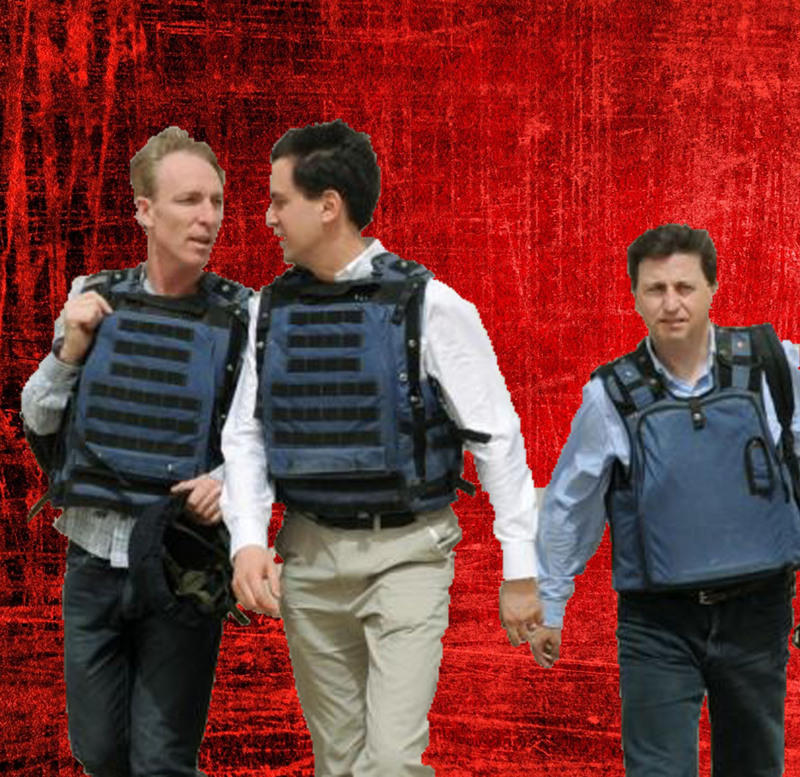 Perhaps that suits Murphy who seems to want to keep open the possibility of challenging Miliband. After all, if he wins the Scottish leadership, there’s nothing in the rules to prevent him standing for the UK leadership. The fact that Ed gave in to the pressure from Murphy, Alexander and the others who have not a shred of personal loyalty to him may come to haunt him. They are hostile to Ed’s desire (which I believe still exists) to put New Labour behind us, to become “campaigners for progressive change” rather than managers. Taking our core voters for granted has already cost us dear in the battle against both UKIP and the SNP. If Murphy wins the Scottish leadership it could be terminal for Scottish Labour. Triangulation, central control and slick presentation may have won in 1997, but it won’t win in 2015 or 2016. Members and affiliates will desert the party in Scotland. Bad news for Scotland, and for UK Labour. The second coup is the one that supporters of Ed Balls and David Miliband have been working on, off and on, since Ed won the leadership four years ago. It hasn’t happened yet because Ed has made sufficient concessions to the conspirators to ward it off. At the expense of keeping his promise to put New Labour behind us. Even those welcome first steps to change, the squeezed middle, predatory capitalism, seem to have disappeared without trace. Even as it becomes ever clearer that austerity has failed in Britain as it has across Europe, so the dead hand of the Balls office kills off any flicker of delivering change. We are beginning to lose noyt onl;y working class voters to ~UKIP and abstention, but radical voters, including those who switched from the Lib Dems, to the Greens. Ed Miliband is not a bad leader. He may lack charisma. He may be seen as geeky. Labour voters do not warm to him. But he is a decent, principled person who could still win if only we had bold policies and a convincing narrative that provided people with hope. But it is the concessions to the conspirators that has made that impossible. So far. Ed Miliband should have sacked Balls from the shadow chancellor position the day after the Heywood and Middleton by election, as he had planned. Especially after the poor result he hadn’t expected. Firm, decisive action at that point to turn against austerity is exactly what was necessary. And it still is. I like the idea of a coup; it has drama and adventure attached to it, and the British public love drama and adventure, and if properly choreographed and played out right, could see Labour winning the next election by a walkoverPeople like decisive Leaders not afraid to step in to save the Party they love. Another poor article. Politics as a soap opera, policies replaced by personalities. Everything that is wrong with both ‘politics’ (as sold to the citizens treated as mugs) and the Labour Party. Miliband is a weak leader precisely because he has no policies, juts it seems some general ‘feelings’. I actually don’t know what he believes in (even now), and I still haven’t got a clue what ‘One Nation Labour’ means. And his lack of policies can easily be read as lack of principles. Stevie Deans knows all about that, having faced police interviews (that led to his sacking) at the behest of Miliband and all for the ‘crime’ of recruiting working class trade union members to his CLP. If you look at the articles and links here you would see that Ed had plenty of very wise policies – to undo the very damaging Thatcherite neoliberalism that leads to the obscene gap between rich and poor, continual boom and bust, financial crises and economic stagnation, loss of the NHS etc. The key point made is that he has been forced to make concessions to the Thatcherite Progress Party, in order to avoid a coup on his leadership. It is proof that Tony Benn was right about democracy within Parties. Whether he got all the details right or not I would not like to say. But I would be willing to bet that most of the Labour Party members and union members wish that they had more say in the choice not only of the leader, but of the cabinet as well. Just think about it – even a majority of the public want the railways nationalised again because of the gross injustices in having the most expensive fares in Europe, and – we are subsidising German state owned rail as they have shares. But the Thatcherite Progress Party are against it. If Progress had had the same treatment as the militant tendency had years ago – they would have been expelled. Progress are doing more damage – they are forcing us down the Thatcherite route to the same damaging small government, every man for himself financial crisis route as the Tories. They will lead to electoral oblivion. No wonder Miliband feel old. If only Benn had left even more party democracy, the grass roots could change things. Miliband has sold out he has decided to swing toward the Progress right and now what?. This is not new it’s been an on going issue since Miliband came to power Red ED then you had I’m not red I’m the One nation soft right , Blue Labour. Now you had Falkirk a serious mess made by Progress and then the take over in Scotland the Unions going with what they see as a lefty and labour promoting a right winger progress in Murphy. The battle goes on and you know something the winners will be the Tories. For crying out loud, Sandra, Miliband has just appointed Lucy Powell, a vice-chair of Progress, as a senior election campaign manager. She’ll sit very comfortably alongside wee Dougie. The failure we are seeing isn’t the failure of Ed the battling lefty, it is the failure of the ‘limited offer’ provided by Ed and his Progress cronies. He’s also appointed Tricket, ex-Compass to balance out Powell. So lets stop these childish attacks on Progress please. Trickett ran away from Compass leaving every one sitting thinking what happened Trickett will go where he sees something for himself. Now you’re being silly. It is clear from the context of my comment that I was referring to Progress. I always interpreted the phrase progress,like militant tendency,to imply they were botht the same,not real labour should be expelled,except here nothing alike. Have progress had their own branch meetings to deselect sitting MPs,have they stood against the candidate, have they controls of council, that break the law,on rate capping? Progress wish to have a party go for it form one…. Like the Militant Tendency, they prefer not to operate under their own flag. They know that without the cover of the Labour Party their policies would appeal only to Tory voters. Militant knew without the Labour Party,there policies would only appeal to tories? When militant stood agaisnt the official labour candidates, did they do a deal and get the tories not too stand? With all the Progress people giving Ed their unconditional support, if he stays as leader there will be payback. Expect further triangulation and policy moves even further to the right, if that is possible. “Let’s stop these childish attacks” on a Labour faction that has done nothing but undermine Ed since his election as Leader…why? They deserve every brickbat going. Lets hope they disappear very soon if Murphy loses and a few others are kicked into the long grass, I suspect the money will dry up, and all that will be left are a few on the right who will dream of Reeves being the new Thatcher.